Locked up in intergalactic Juvie! 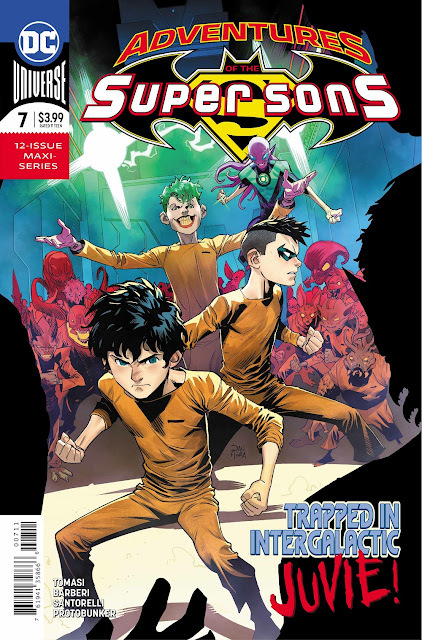 Adventures Of The Super Sons returns to newsstands today, bringing readers to an intergalactic juvenile detention center that houses some of the most unstable youth in the known galaxy! It is here that Tommy Tomorrow brings Jon, Damian, Joker Jr., and Rex Luthor. Seizing upon this new opportunity, Rex begins recruiting new members into The Gang, while Damian uses his unique set of skills to crack down on Gen. Pop. to find the missing Joker Jr., and his Kryptonian friend. But, with new threats lurking around every corner, the Son Of Batman will have to stay on his toes if he's going to accomplish his mission! Eventually making his way to Gizmo's lab, Damian is able to begin following the trail of a missing solar plug, which comes in especially handy when a small detachment of alien villains catch up with him. Clearly outnumbered, Damian prepares for the fight of his life, just as Jon breaks through the wall completely recharged and ready to head back to earth as soon as is humanly possible. 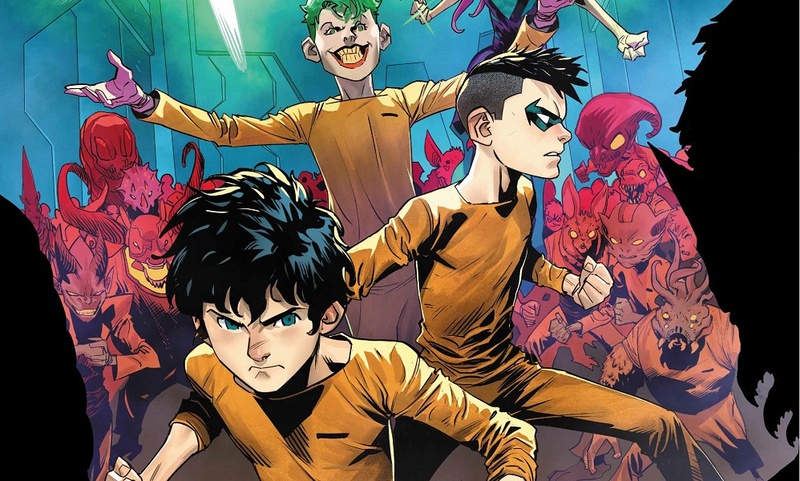 Adventures Of The Super Sons continues to be a fresh, fun addition to the DC library! Peter J. Tomasi and his creative team continue to deliver a unique and enjoyable title month after month and, while it may not be for everyone, we certainly recommend that fans new and old alike give this adventurous, galaxy spanning story a read! You won't be disappointed that you did! Rating: 3/5 - "An adventurous, galaxy spanning story that's unlike anything you've read before!" Adventures Of The Super Sons #7 is on newsstands today. Until next time, Infinite Earths fans!